Team India and England can be said rival to each other in cricket competition. Both are powerful teams in all format of crickets as we know. In recent time, team India is visiting England where the purpose is too big. They are scheduled to play a three matches T20Is, three matches ODIs and five matches Tests series. They have already finished the ODI and T20I series there where they are now even. India won T20I series where England won ODI series in the tournament. Now, the Test series is going on. England is leading the Test series as we know. They have won the first two matches against India and now, the 3rd Test match is running. According to the last news, team India is in bat for 2nd innings at Trent Bridge. According to the current statistics, team England has to win just one more match to secure the Test series. Including the current 3rd match, they have three matches in hand. But it seems that they are going to lose the 3rd match against India. 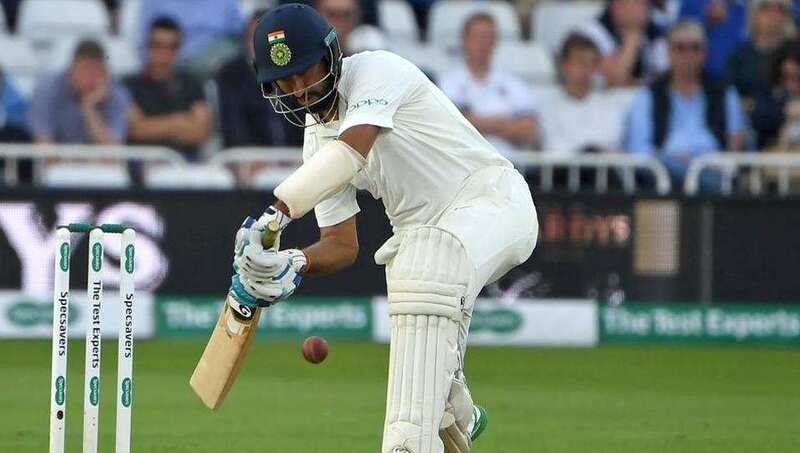 In 18th August, 2018 the 3rd Test between England and India started. The host ground was Trent Bridge in Nottingham. England won the toss and decided to bowl first. So, guest team India came to open the 1st innings. This time India played well. They played full first day and the beginning of the 2nd day as well. Rishabh Pant for India made his Test debut there. Like many time, Indian skipper Virat Kohli led India from the front. Dhawan and KL Rahul opened the innings for India. In 60 runs Dhawan was gone and just five runs later, Rahul followed the same way. Pujara was no good but scored 14 runs only. Kohli and Rahane made a partnership that added more than 150 runs there. Kohli missed the century only for a little. He scored 97 runs highest where Rahane scored 81 runs. Rest players failed to do their jobs where Pandya scored 18 runs, Pant scored 24 runs and Ashwin scored 14 runs so far. Scoring 329 runs team India lost all wickets. They total played 94.5 overs so far. Anderson, Broad and Woakes took three wickets for the team England. Later, local team England came to bat for the first innings. Bjut at the Trent Bridge, they faced batting collapsed. They scored total 161 runs in their first innings. Jos Buttler scored 39 runs highest for the team where Indian bowler Hardik Pandya took five wickets highest so far. They just played 38.2 overs in the match.